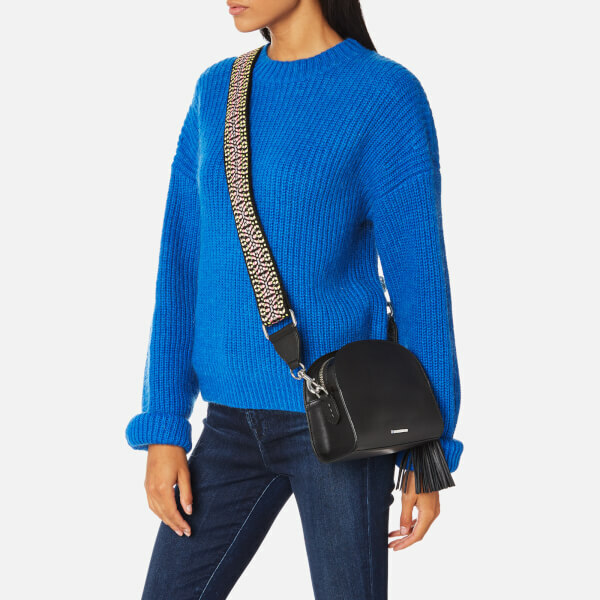 Women's leather crossbody bag from Rebecca Minkoff. 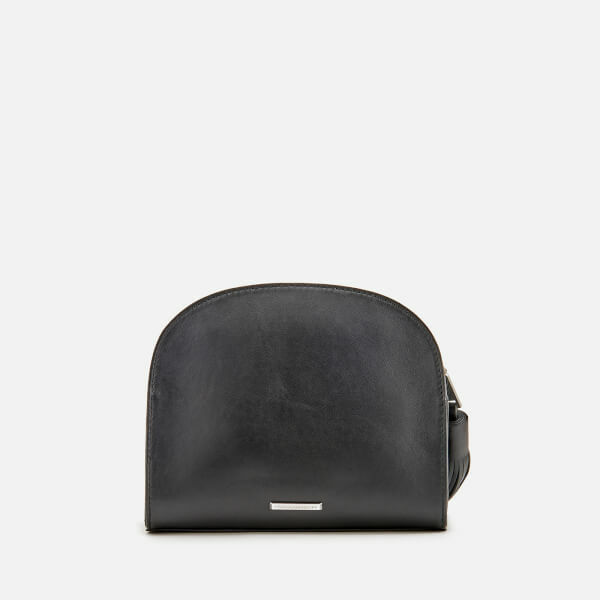 Crafted from vachetta leather with a rounded silhouette the 'Sunday Moon' bag features tonal stitch accents to the edges with curved M.A.B. 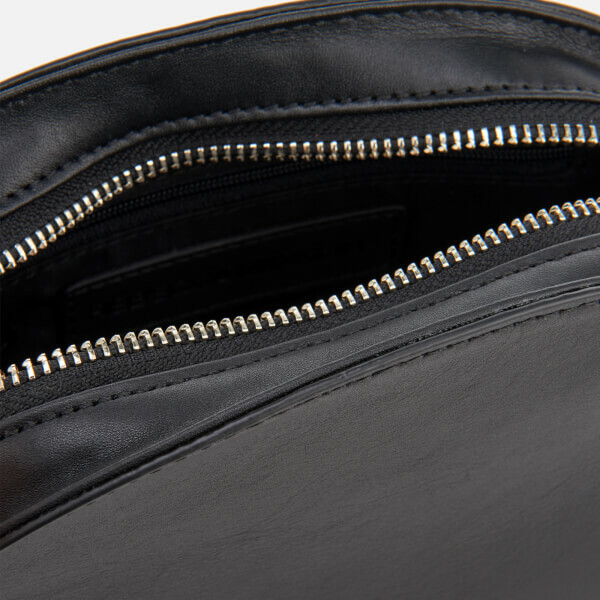 detail, and a top zip fastening that opens to reveal a lined interior with a zip and slip pocket within for extra storage. 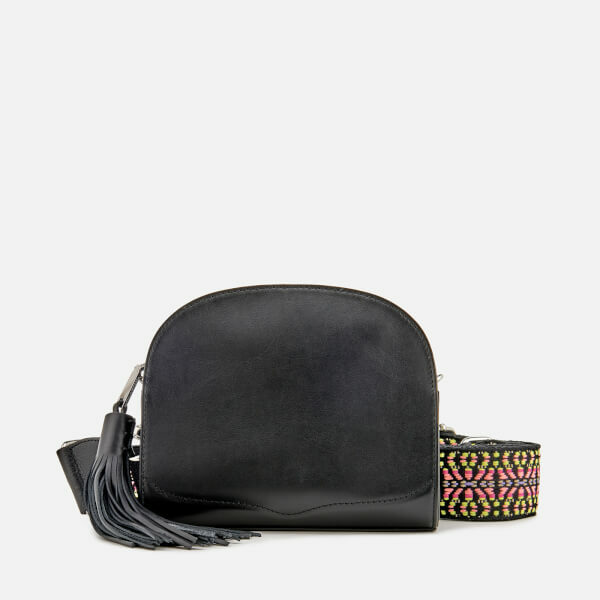 Complete with large tassel zip pull and removable, adjustable guitar strap with multi-coloured woven design for a striking finish. 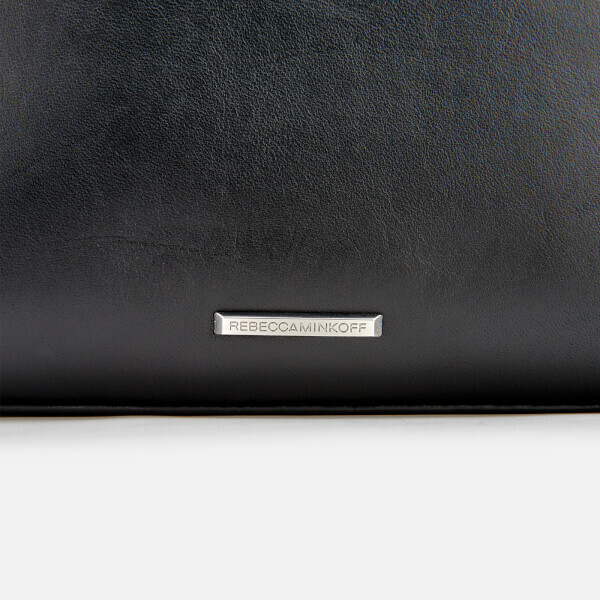 Signature plaque branding to the rear. Silver tone hardware. 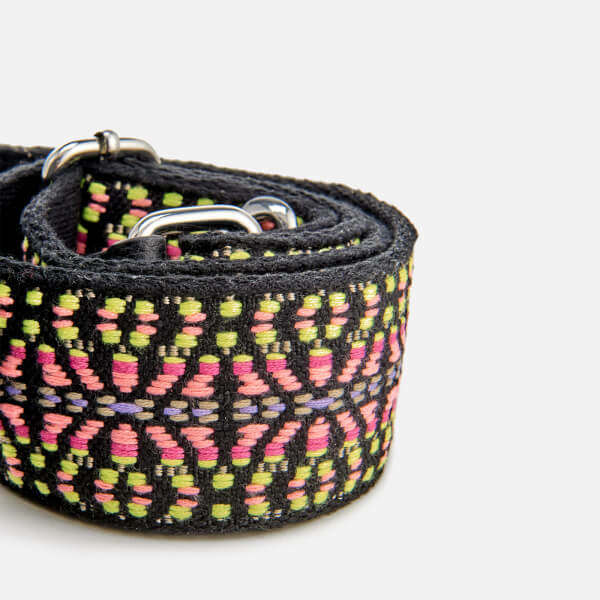 Dimensions: H: 16.5cm x W: 19.5cm x D: 6cm. Strap Length: 119cm.